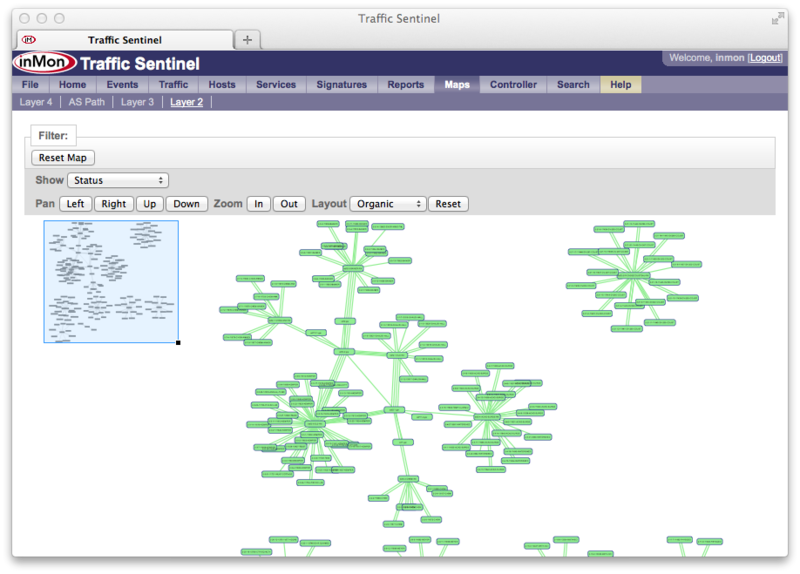 InMon Traffic Sentinel 7.0 is now available for download. This is a free upgrade for customers who have purchased annual maintenance. Traffic Sentinel v7 decodes and tracks tunneled traffic (GRE, VXLAN, Teredo...), including multi-tenancy identifiers (VNI), while still supporting the automatic de-duplication features that makes network-wide queries possible. Tunneled traffic can be investigated and trended using new "Inner" fields such as "Inner IP Source" and "Inner IP Destination". 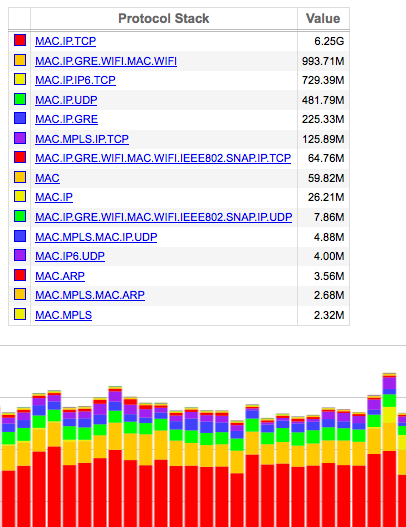 Traffic Sentinel v7 allows new machine-interfaces to be constructed to access all the traffic, topology, MAC<->IP address-mappings, host-locations and performance counters, and make them available to other programs and dashboards. For details see REST API Tutorial. In Sentinel v7, the maps use HTML5. The last dependency on client-side java has finally been removed. 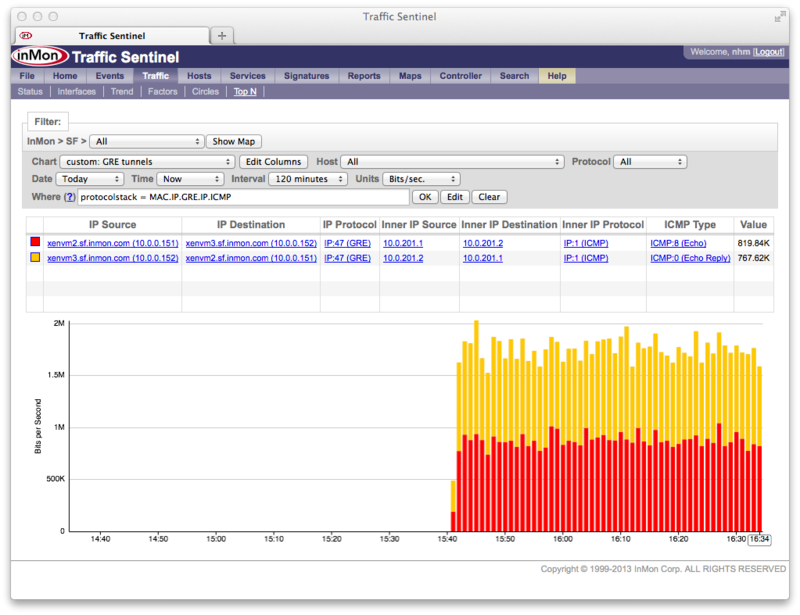 Sentinel v7 can discover LAGs via SNMP or via the sFlow-LAG extension to the standard. This allows the LAG counters and traffic to be sythesized automatically in the case where only the components are reporting traffic measurements. Automatic LAG discovery also improves the accuracy of the traffic de-duplication algorithm. The accuracy and performance of both the data collection and the query engine has been significantly enhanced, and a NUMA-aware version of the query engine delivers groundbreaking performance on larger (NUMA) servers.